Birds sing with regional accents. The targeted bird species and different bird accents are important considerations when choosing an acoustic bird control system. For example to successfully deter New Zealand Black-backed Gulls from a Marina environment, an acoustic bird deterrent system requires programming of bird songs different to those used to control American Ring-billed Gulls. Easytek New Zealand programs and customises all its acoustic bird deterrent systems for use with local bird species and New Zealand environments. 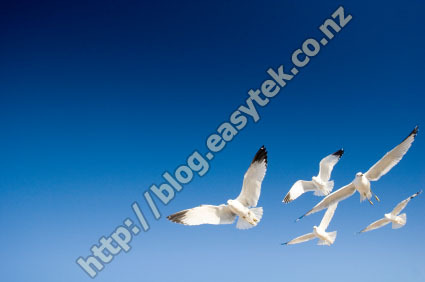 You can learn more about our systems on the Easytek New Zealand website.